Hollywood, Harvard and the blues collide in Greenwood, Miss. At first glance, Greenwood, Miss., is the prototypical small Southern town with its stately homes and majestic live oaks juxtaposed with rundown shacks and struggling poor. It hardly stands alone as a Southern town with a checkered racial past that made it a flashpoint during the Civil Rights Movement. But it is one of the few such communities that is able to wrap its arms around its past while at the same time pulling itself forward. Lately it’s had plenty of help doing that … literally. In 2010, Greenwood hosted the vast majority of the shooting for “The Help,” which has been nominated for four Academy Awards, including Best Picture. Among those who will be watching the Feb. 26 awards show closely is Rocky Powers, who leads The Fuller Center for Housing of Greenwood/Leflore, which is among the groups leading the town’s resurgence. While the filming of the movie brought attention to the area’s past and present, it also laid the foundation for the Greenwood area to improve its future, particularly in the impoverished neighborhood known as Baptist Town. Not only did the movie’s filming boost the local economy, but a premiere attended by the film’s stars and producers in Madison, Miss., raised about $150,000, all of which was designated to improve the Baptist Town community. The Fuller Center and a group of Harvard Kennedy School students are among those instrumental in putting that money and other resources to use in Baptist Town. The Harvard group followed through as recently as last month, when they teamed with The Fuller Center to help rebuild a front porch for a Baptist Town resident, Marie Reed, who merely wanted to be able to sit outside her home once again. 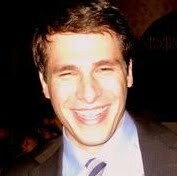 The project was just the latest undertaking by the Community Development Project, founded a little more than three years ago by a couple of Harvard Kennedy School students who had worked in the Mississippi Delta. That commitment, plus the model of offering a hand up rather than a handout, makes The Fuller Center a good fit for the Harvard group. “The model of helping people help themselves instead of just getting a handout is the exact right way to do it,” said Solomon, who in addition to his studies at the Kennedy School works with the City of Boston to help its snow removal department operate efficiently. “If somebody just gets a handout, there might not be any sort of follow-through. We think that The Fuller Center model of really having the residents work on improving their own housing really ensures more sustainability. Of course, what the students take away from working in Baptist Town goes far beyond gaining real-world experience and padding resumes. Baptist Town looks like the kind of place where the Delta Blues would have been born. That’s exactly what it is. It was a haven for early blues artists, especially the local Three Forks juke joint. Artists such as Mississippi John Hurt, Honeyboy Edwards, Betty Everett, Guitar Slim Jones, Denise LaSalle and many others spent time in Greenwood or made it their home. But the blues man most associated with Greenwood is the legendary Robert Johnson, the man who legend has it sold his soul to the Devil at a crossroads in Clarksdale, Miss., to gain his guitar skills. He lived just 27 years before the Devil supposedly came to collect his payment — in Baptist Town. The 1986 posthumous inductee into the Rock and Roll Hall of Fame was supposedly poisoned at the Three Forks juke joint and died a few days later on Aug. 16, 1938, at the age of 27. No one is certain exactly where Johnson is buried. There are burial markers in Quito, Miss., and nearby Morgan City, but most believe he is likely buried in an unmarked pauper’s grave near the place where he was allegedly poisoned. A third burial marker now stands in Greenwood. Unfortunately, many of the homes in Baptist Town look as though they haven’t been touched since Robert Johnson plucked his last bluesy guitar string. “They’ve got blues markers, and it’s a tourist attraction. But it’s a terrible section of town for housing,” Powers said. That revitalization includes Fuller Center Greater Blessing projects such as the one at Marie Reed’s home. It also includes the use of cottages that were first intended for use along the Mississippi Gulf Coast after Hurricane Katrina struck in 2005. While the City of Greenwood is looking to use its cottages through the Greenwood Housing Authority, McAdams doesn’t mind being beaten to the punch, especially by someone named Rocky. The filming of the Oscar-nominated “The Help” in 2010 brought all the economic boost one would expect in a town of 15,000 residents hosting a major movie production, pumping an estimated $12 million into the local economy and pushing sales tax revenues higher at a time other Mississippi cities’ coffers were dwindling. But the impact of the filming is measured in more than dollars and numbers. But Powers sees the lasting effects of hosting the movie’s filming in ways few others do — in the Greenwood/Leflore Fuller Center’s storage sheds. That just gives Powers more inspiration to root for “The Help” to win an Oscar for Best Picture, Viola Davis to win for Best Actress and for Jessica Chastain and Octavia Spencer, who are both nominated for Best Supporting Actress. Greenwood already has one connection to the Oscars. Morgan Freeman, who has been nominated for acting awards five times and won Best Supporting Actor in 2005 for “Million Dollar Baby,” spent his youth in Baptist Town, graduating in 1955 from Broad Street High School, which is now Threadgill Elementary School. Still one of Hollywood’s biggest actors, he owns a blues club in Clarksdale, Miss., near the crossroads where the legendary blues transaction with the Devil went down. While Robert Johnson’s soul may not rest so easy these days, The Fuller Center of Greenwood/LeFlore may finally be able to lay the blues to rest in Baptist Town. All they ever needed was a little “Help” — from Hollywood, Harvard and a legend of the blues. 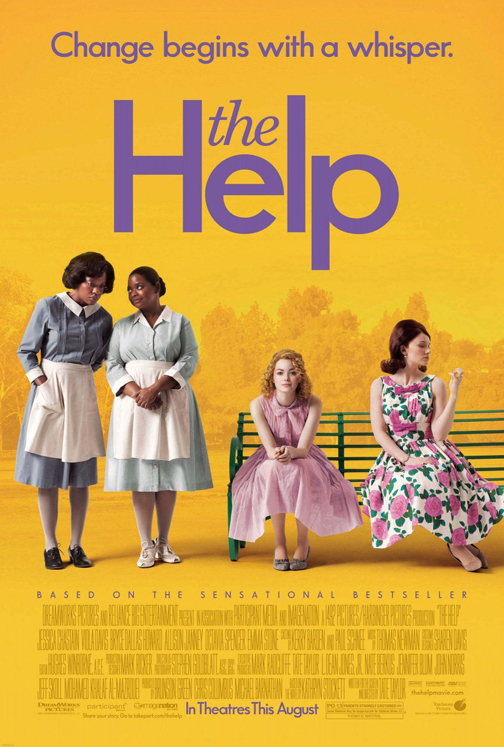 Click here to see the official trailer for "The Help". 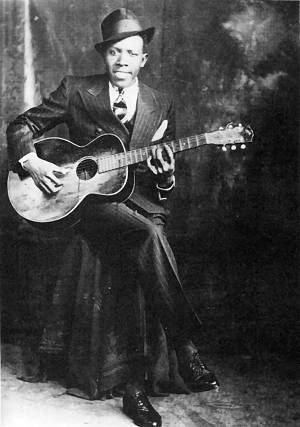 Click the video below for one of blues legend Robert Johnson’s songs, "Love in Vain." Loved both the book and the movie. How wonderful the lumber from the sets can be put to good use in Baptist Town. I knew Morgan Freeman is from Mississippi but didn’t know he grew up in Greenwood. About 20 years ago, I was seated next to Morgan Freeman at a Golden Plate Award dinner being held at Jackson Hole, WY. I chatted with the person to my right and then turning to the gentleman on my left to introduce myself. Our eyes met and after I spoke my name he just looked at me without saying a word. "And you are…?" With a twinkle in his eye and in a deep voice, "You don’t know who I am?" After too many embarrassing seconds, "Did you see the movie ‘Driving Miss Daisy?" I responded, "Why I sure did". "Well", he said, "I was the one driving Miss Daisy." If I could have slid under the table and stayed there I would have. He started laughing because he was amused that I didn’t recognize him. Those years of raising 4 kids and growing Habitat didn’t allow much time for viewing films. As it turned out, we had a nice chat and that’s when I found out that he grew up in Mississippi. I told him that I grew up right next door in Alabama. But back in the 50s, just as in The Help, those states were side by side but races were not. All the best to Fuller Center work in Greenwood!